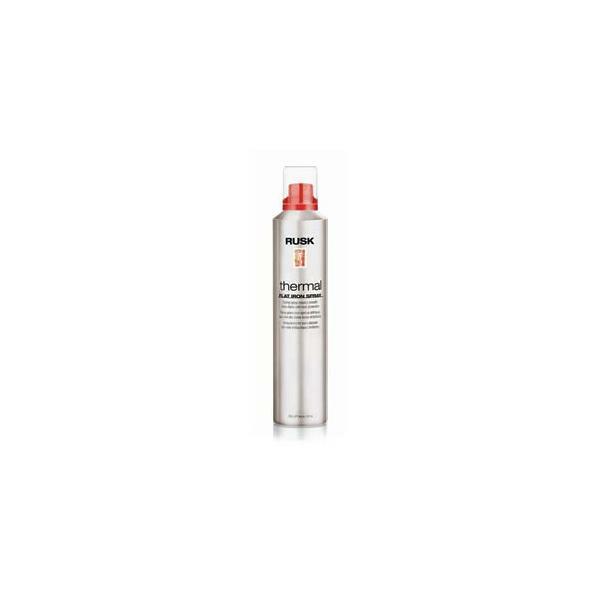 Style Source Magazine | Rusk Thermal Flat Iron Spray 8.8 oz. 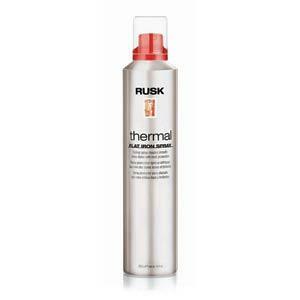 Home /	Brands / Rusk Designer Collection / Rusk Thermal Flat Iron Spray 8.8 oz. Create smooth, shiny styles while using a flat iron. The micro-fine aerosol spray contains Thermplex™ that provides thermal protection from heat stress caused by daily use of styling appliances. Enriched with UVB sunscreens and silicones to protect and condition hair while eliminating frizz.